Amid the growing threat of a nuclear reactor meltdown in Japan following the quake and tsunami, the emergency services, aided by international rescue teams, have launched a country-wide recovery effort. ­In an exclusive interview with RT, Sergey Shoigu, Russia's Emergencies Minister, discussed the challenges facing Japan's government and the progress being made. RT: Mr. Shoigu, thank you very much for finding time for us today. How do you assess today's situation in Japan? 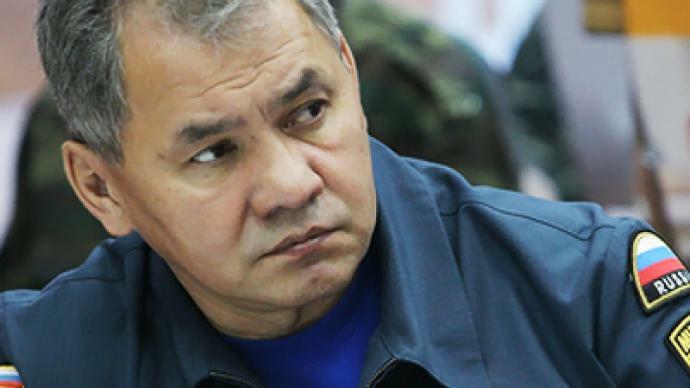 Sergey Shoigu: The situation is extremely difficult. It's probably the first case for the last 30 years, or even longer, but at the very least it's the first case I remember of a large-scale natural disaster causing a large-scale man-made disaster. 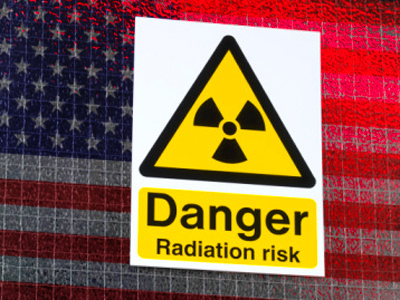 It involves not only the kind of damage that happens often, such as damage to the transportation system, communications system, ruined bridges, failure of some conventional plants or factories – it also involves a most complicated and most difficult disaster, the nuclear radiation issue. It is the first case both in the history of Japan and world history of such large-scale destruction and damage to economy, industry, and power production. In this kind of situation it is not only about restoring the life sustainment systems for the population but also about taking care of safety of both the environment and our neighbors. RT: What, in your opinion, is on the priority list of your Japanese counterpart now, and how is it changing as the earthquake recovery works are progressing? 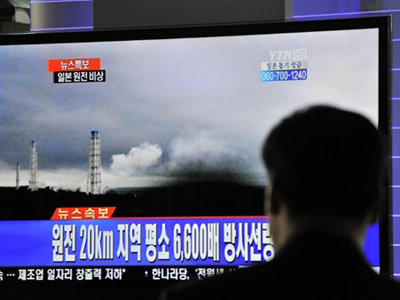 SS: The top priority is, as usual, ensuring protection of the population from radiation to the largest possible extent. The Japanese Emergencies Minister is facing multiple challenges that require immediate solutions, and as we mentioned already, Russia is ready to help solve these issues. I'll go through them in order of priority now. 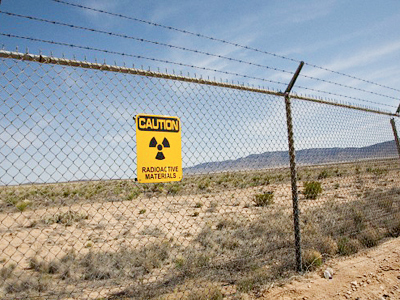 Of top priority are the issues of protection from radiation. That involves evacuation of the population, and evacuation involves all the other issues such as provision of food and shelter. The next priority issue has to do with a high chance of epidemic outbreaks. There is a huge number of deceased victims, and we should remember that in addition to people, a lot of farm animals and pets died, too – so that's the second issue to tackle and solve. And as we follow our Japanese colleagues' activities we see that this problem hasn't yet been solved, but I hope that it will, and we are ready to support them, should they need our help or consultation. The third issue is drinking water. Drinking water problems on such large territories, with over 500,000 people having lost their homes, and not only homes – they also lost their sources of food and drinking water – so the drinking water problem has to be addressed immediately – restoring water supplies and prevent the second priority issue I already mentioned earlier, the epidemic outbreaks. The next issue is a very serious one. I think that we need to set up a serious expert group which would assess the whole bulk of issues related to chemical security – that's because there were some production facilities of different kinds in the affected area. And as we go down the priority list, there is the transportation problem, due to damaged communications lines, bridges, roads. Further, there is the power supply problem. So, on the whole it is a very large and complex emergency situation which requires imminent solutions to multiple problems simultaneously, and what's important is these problems are interdependent. Thus, if the radiation protection issue fails to be solved, that will mean that all issues ensuing from the evacuation of people, from their moving across the land, will grow bigger and bigger. And then, one thing will lead to another as in a domino effect. RT: How is Russia helping Japan, what aid are we providing? SS: The package of what we offer to our Japanese counterparts can be even larger. As you know, the largest international rescue team currently deployed there is Russia's, that's 165 people. We dispatched there a Mi 26 helicopter, it's there and it's ready to be used for delivery of aid, including drinking water, and for transportation of people. 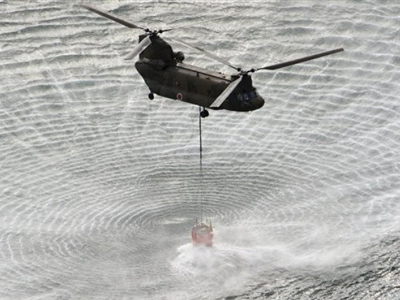 That's a heavy helicopter capable of carrying up to 20 tons of cargo. We are working on implementing the request from our Japanese partners for a batch of warm blankets, bed linen, and all other essentials for accommodating people in shelters. On top of that we offered medical help; we have 2 hospitals which can be rolled out within 3 hours. These hospitals have already operated in Turkey, Afghanistan, Kosovo. It's hard to recall all the places they worked at. They've worked all over the world. These are highly qualified specialists with an extensive experience in such work. We also offered our drinking water filtering units – I mean I'm now telling you what kind of help we have offered. Further, we offered services of our experts with significant experience including the experience of recovering the Chernobyl disaster. The receiving party, naturally, can see and decide when to accept one or another kind of help and resources, including help from abroad. Over 100 countries have offered their help. RT: Your job is to rescue people, even in situations beyond man's control. In the current situations, what resources are most important for rescue? SS: The most important resource now is evacuation, I mean setting up the evacuation facilities and shelters to ensure that people would have places which would be as comfortable as possible for them to live through this hard time before recovery gains speed. This requires medical support, supplies of water and food, providing shelter. This may not sound like much as I say it, but it involves a great deal to do. It's a lengthy large-scale operation, because it also involves children and infants and providing them with baby food, it involves taking care of sick people such as diabetes patients, thus we need to provide insulin, and many other things. Further, it requires medical monitoring of people's conditions and ailments, and it requires medical therapy. In short, it's a huge number of things, but – today, in the current situation, this is the challenge number one. All the other tasks will ensue as progress is made. RT: As you're watching your colleagues from Japan, would you say you'd act exactly the same way or maybe differently? SS: It's hard to teach and tell anything here. We're trying to give some advice on things we can see from here. In order to tell exactly how we would act under such circumstances, we'd have to be in their shoes. Things that we know, that we have experienced we include in our reports, and we deliver them to the Japanese side. I should say that many experts from Japan came to our country to study the Chernobyl disaster – they studied the after-effects on environment, on children and adults, on the thyroid gland, on vegetation. They invested a huge amount of money in these studies and have done a large amount of work together with Russian researchers. Thus, they did their best to use that situation to their advantage. I believe that as bad as it may sound now, we and our experts must do our best to use the situation to our advantage in order to render help, that's our task number one, and secondly, in order to ensure that mankind including Russia would learn well the lessons this situation is teaching us. This includes the positioning of these potentially dangerous facilities, calculating all existing risks, introducing new emergency response mechanisms. But the most important thing is when such large scale emergencies happen you begin to understand that wars are pointless. Why do people fight against each other? We have this war here. This is more destructive than wars. Such natural disasters destroy huge territories with man-made objects, the results of people's work, their endeavor. And the worst thing of course that people themselves die. This is the enemy that we should all fight together. SS: Yes, frailty of our existence… I agree with you. But this is our common enemy. Forces of nature. Our common foe, and we need to learn how to fight against it together. RT: How can society prepare for such disasters? In your opinion is it possible for a coastline to protect itself from a tsunami of this magnitude? SS: The risk management system that our Japanese colleagues have for counteracting such natural disasters – both earthquakes and tsunami – is one of the best in the world. They check their emergency alert systems daily. Every day at a certain time sound signals go off. And if they are not heard somewhere, people should report that – "I was at this place and I didn't hear the alarm". 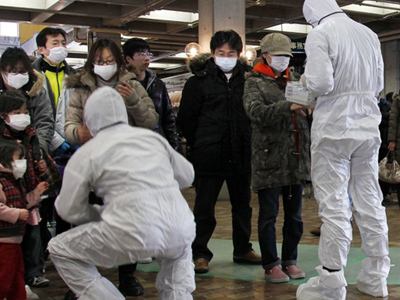 The Japanese also have regular drills, practicing emergency procedures for cases like tsunami and earthquakes. So a group that includes experts, my colleagues (people who deal with emergency situations), scientists (nuclear energy and territorial planning specialists, who study seismic effects on continents and islands) should work in the framework of the UN and come up with serious guidelines for positioning of these facilities. This foe knows no borders or customs, no matter what kinds of barriers we try to create. It crosses all of them. So altogether we will have to answer the question about what could've been done differently. 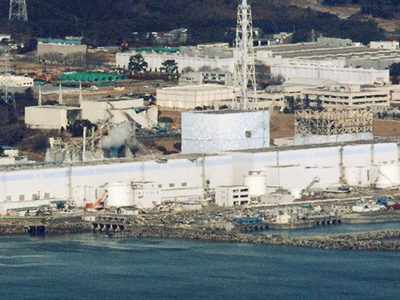 In order to secure nuclear facilities from tsunami threats, we have to build them far from the coastline. As for earthquakes, there are certain issues there too. 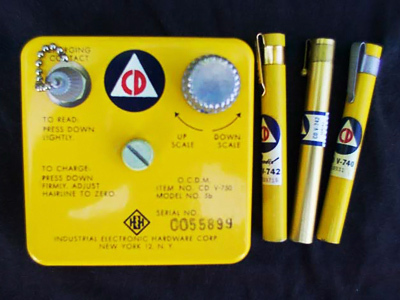 In this case all 11 reactors responded to the seismic activity and began to shut off automatically. The problem was with the cooling systems. RT: Mr. Shoigu, the Japanese are giving minimal information about what is really going on there and how they are handling this. 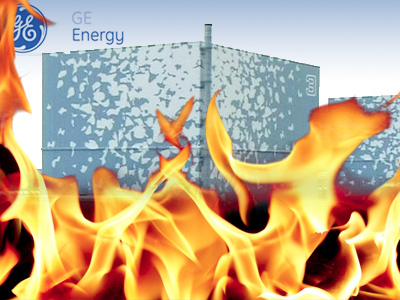 What kind of risk assessment have you made of the situation at the Japanese nuclear power plant? SS: There are two risk categories here. The first category has to do with what happens inside the country, risks are very high here. Specialists and authorities are not trying to cover up those risks and taking steps to evacuate people and also offering new methods of protection. If we talk about the situation outside Japan, in the bordering states, we will have to assess any damages to the environment later. Seawater was used for cooling. And we know about the water cycle, so it goes back into the environment. We will have to see how this will affect the sea, its flora and fauna. Naturally our service works 24/7. We take measurements hourly. We have a special aviation group, they take samples of the air on the Kamchatka Peninsula, Sakhalin, Kuril Islands and in Primorsky Krai. We doubled the number of our monitoring stations, where samples are taken and analyzed regularly. In the last two days we simulated the worst case scenario, and it showed that there is no serious threat for the Russian people. SS: Of course we have to monitor the development of this situation. A week ago nobody could've predicted the situation we see now. Who would've thought that six reactors would be in critical condition.So we need to monitor and assess all this. There is a saying that we learn from our mistakes, such big tragedy is a serious lesson for us. I would even say it is a big lab, there is a lot to learn from this. 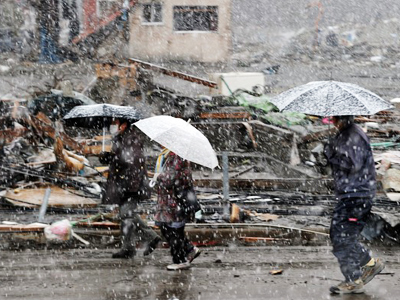 You've probably heard that Japanese authorities are urging people to stay inside. This is something that was learned after Chernobyl. 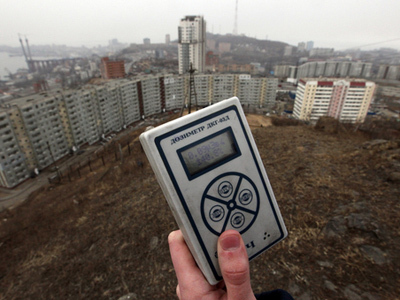 If you remember, evacuation in Chernobyl started in the midst of the heaviest radiation leak. The right thing would've been to stay inside, keeping all windows and doors closed. Evacuation should've started when everything was ready, so that people didn't have to wait for buses outside, standing there for 2-3 hours. It should've been done very quickly. So they learned their lessons, we are learning our lessons. Of course, we want our colleagues to handle this successfully. I told the Ambassador that if there is anything we can help with, we are ready to do it. RT: What is the death toll according to your experts' assessment? SS: It's hard to tell. Even Japanese sources are giving different numbers of dead and missing people. But our guys are saying that considering the state of destruction and density of population, the death toll will be over 10,000. Of course I should mention the lessons we learned from Chernobyl. As an emergency response force we built a large robotics center. We have big heavy robots that are able to clean up debris in high levels of radiation or when there is a chemical hazard. I highly recommend you to visit this center, look at what it is and what these robots look like. It is important for people in our country to understand that we have been moving forward, improving emergency response mechanisms. RT: Thank you very much for the interview!